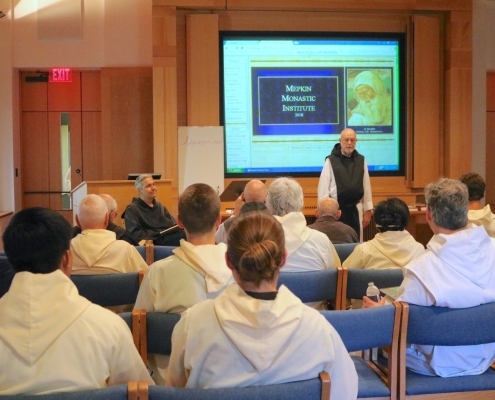 The first week of the Monastic Institute passed quickly and successfully. 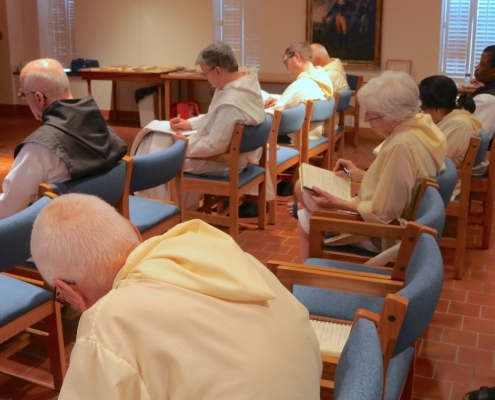 The participants feel they are a part of the monastic community. 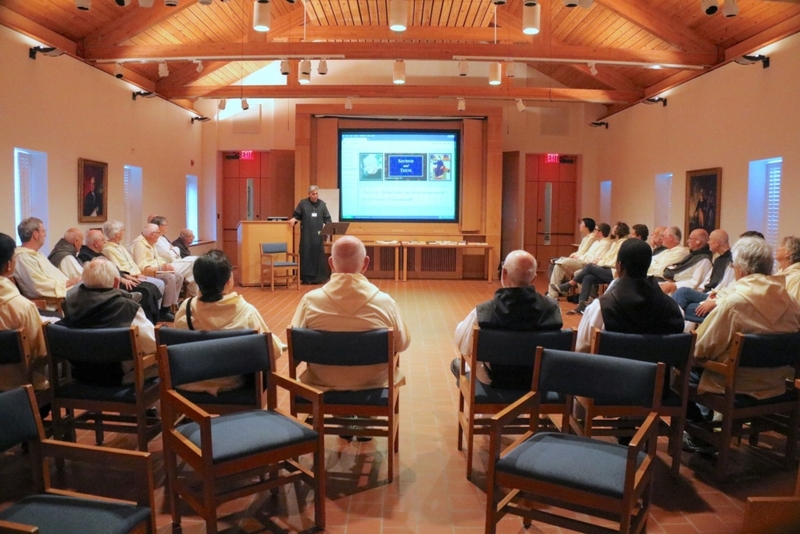 In addition to receiving talks in the morning from some of the monks, they are going to work each day at the mushroom house, with gardening, and cleaning duties. They come back exhausted for prayer and lunch! 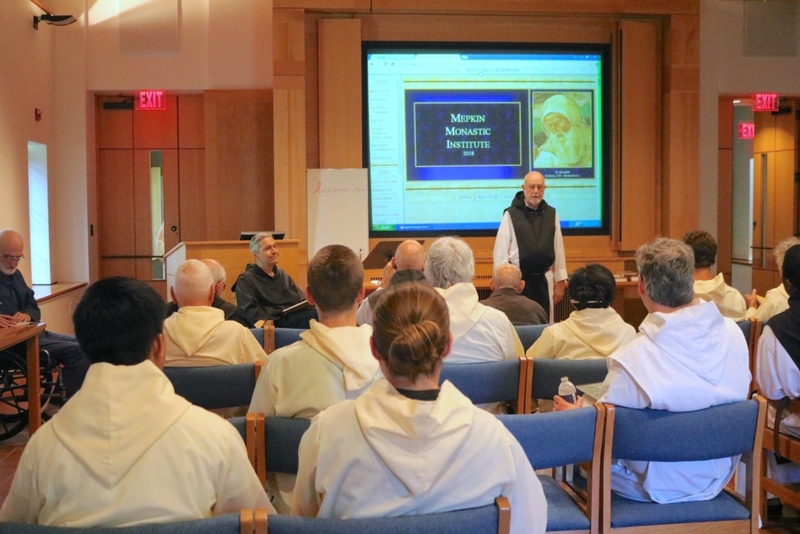 The main focus of the week has been the lectures on the Rule of St. Benedict given by Fr. Luke Dysinger. Fr. 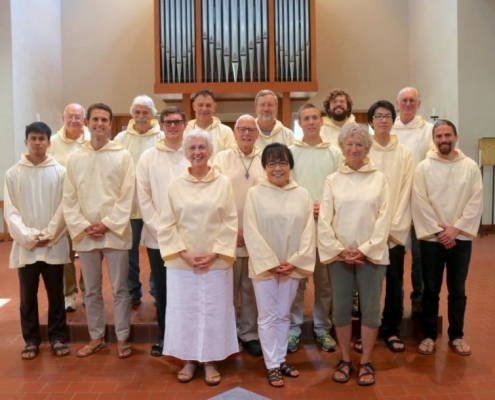 Luke has been a member of the monastic community at St. Andrew’s Abbey, Volyermo, CA since 1980. 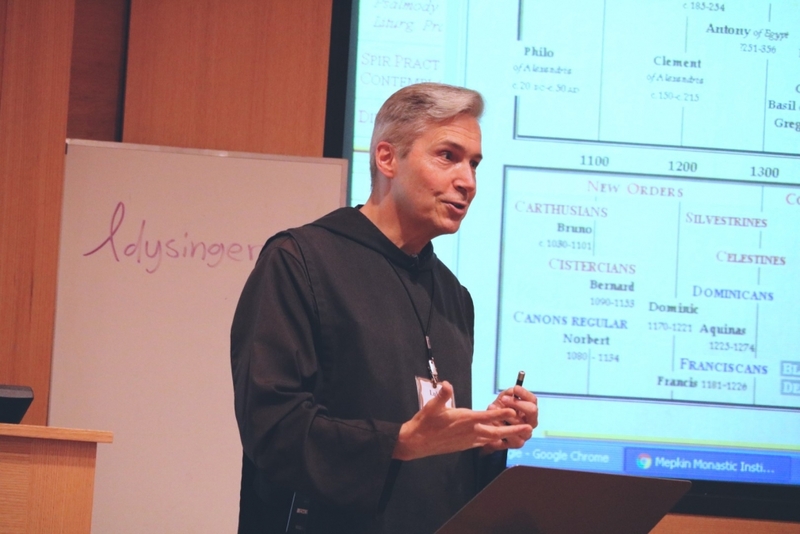 He is a fine teacher, and during the week, he covered the topics of friendship in monastic community, and solitude and community (hermitage and synovium). Fr. 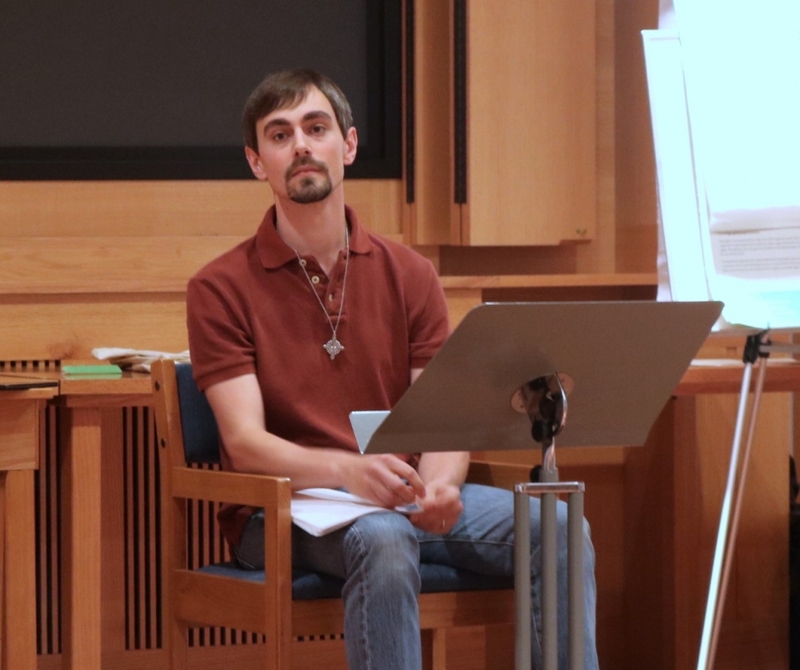 Luke speaks for an hour in the afternoon, after which the participants journal, writing their reflections that touch their hearts into their monastic journal. 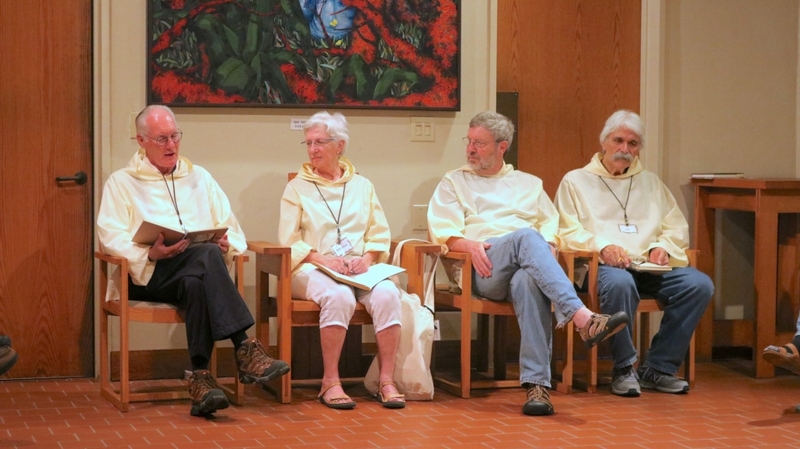 They then divide into groups of four for reflection and discussion. 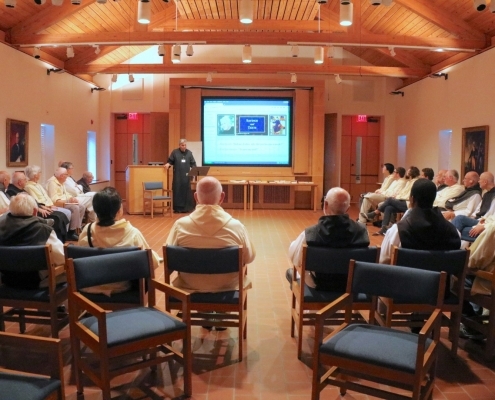 For all of these activities, they are joined by the monastic community. 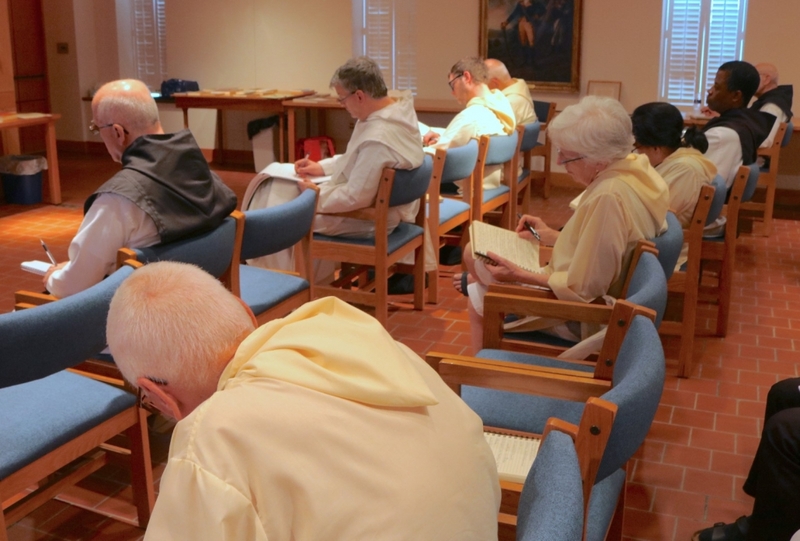 Each evening in the retreat center, Fr. 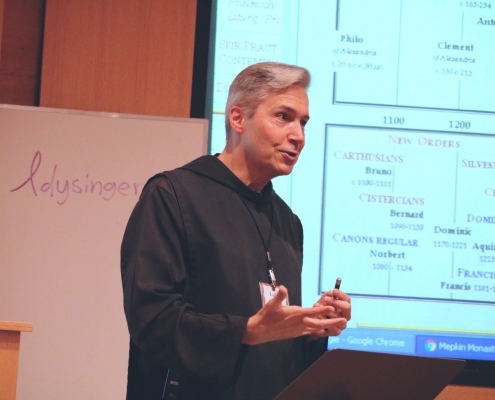 Luke has met with the members of the Institute for a question and answer session. 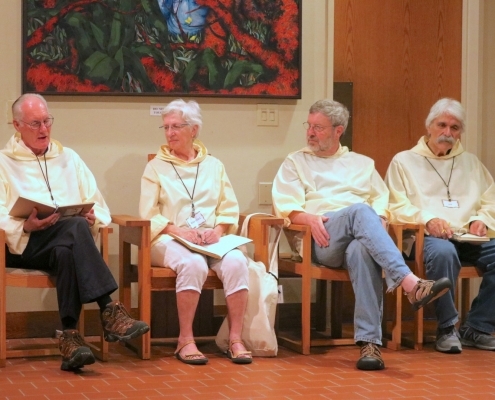 On Saturday July 7th at Chapter, Institute members JanStephan, Barbara, Joe and Stuart, shared their experiences and gave inspiring accounts of what the week meant to them.